To save time at your first session, please complete the forms appropriate to your visit prior to your appointment. 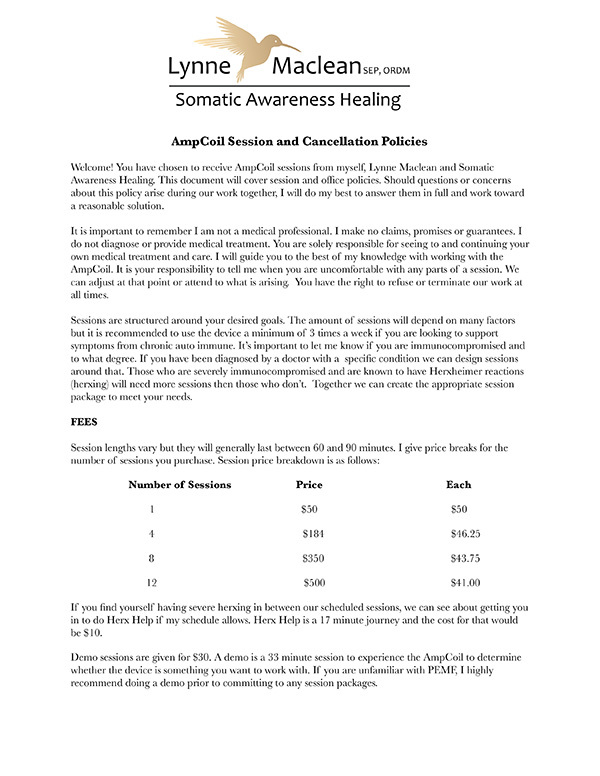 For Somatic Experiencing® please fill out the two SE™ forms. 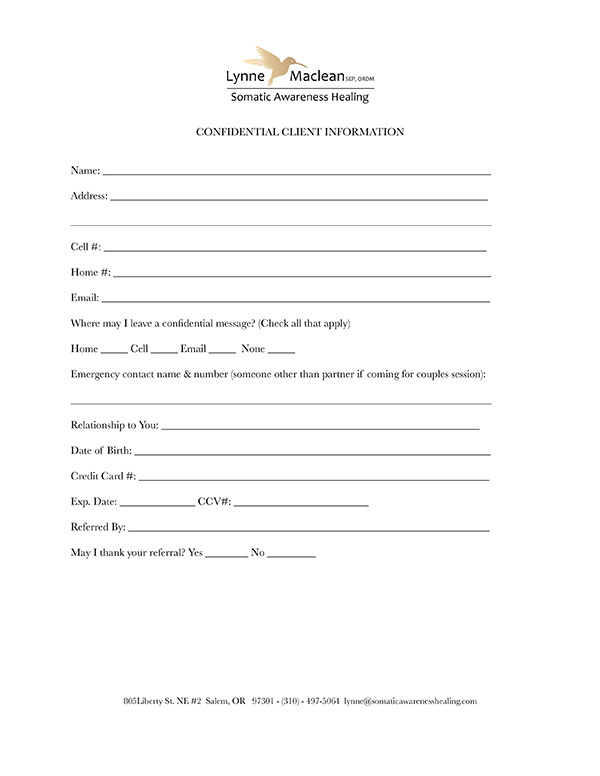 If you have a couples SE appointment please fill out two sets. 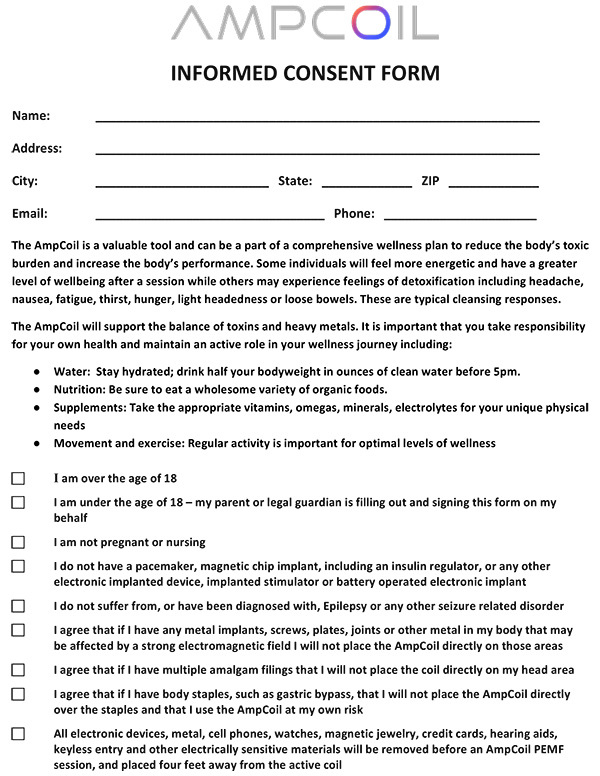 For AmpCoil please fill out the two AmpCoil forms.